The 28th annual international Astronomical Data Analysis Software & Systems (ADASS) conference took place November 11-15, 2018 in College Park, Maryland, USA. The International Virtual Observatory Alliance (IVOA) meeting preceded ADASS at the same location on November 8-10, 2018. We also hosted a hackathon on November 10-11, 2018. And if you missed this, perhaps see you next year at ADASS 2019 in Groningen, the Netherlands! Please submit your proceedings presentation by Dec 1. Two full resolution conference participants photos are here and here, and here are some conference photos. Presentation file links in program (under each abstract). 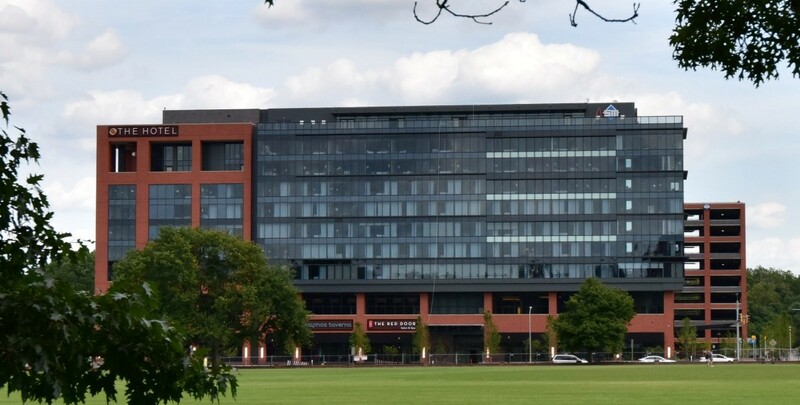 The conference will be held at The Hotel at the University of Maryland, a new hotel & conference center adjacent to the University of Maryland, College Park campus. We have a secured a room reservation block at The Hotel at preferred rates for both the ADASS and IVOA conferences. Attendees are strongly encouraged to stay at the official meeting hotel. Reserve your room at the negotiated rate of $189 per night, plus applicable taxes. All reservations must be placed by Monday, October 8 in order to receive the group rate. The room block is reserved for guests arriving beginning on Wednesday, November 7, 2018 and departing through Friday, November 16. When reserving a room via the reservation link, please enter your reservation details (i.e. number of nights), review your check in, check out dates on the next screen and then click on "Show Rooms" to select your room preference. You may also call 844-954-6835 to reserve using booking code 104341. The Hotel cancellation policy requires 24 hours notice in order to get a full refund. Cancellation with less than 24 hours notice incurs a one-night cost penalty. For questions about cancellation, please call The Hotel at +1 301-277-7777. College Park is just a short Metro ride from the myriad attractions of downtown Washington and easily reached from three major airports that serve the Baltimore-Washington, DC area. The Hotel at the University of Maryland is located less than one mile from the College Park Metro station, which is on Metro's Green Line. Complimentary shuttle service is available for The Hotel guests (call +1 301-277-7777 for pick-up), which offers transportation to and from the College Park Metro Station and access to other destinations within a three-mile radius. For getting around locally, consider a bicycle: Zagster BikeShare has partnered with U of MD and The City of College Park to provide bikeshare stations throughout the area. There is a station right outside The Hotel. From Dulles (IAD): Use the Silver Line Express Bus to Wiehle-Reston East Metro Station. Then take the Metro SILVER Line to L'Enfant Plaza Metro Station. Then take the GREEN line to College Park Metro Station. From there, you can walk 0.8 mile (see "A to B" walking route on map below) to The Hotel or call for the Hotel Shuttle (+1 301-277-7777). If walking, be sure to walk through the tunnel to the neighborhood side of the tracks. From Baltimore/Washington (BWI): Use BWI Express Metro bus service to Greenbelt Metro Station. Then take the GREEN line one stop to College Park Metro Station. From there, you can walk 0.8 mile along (see "A to B" walking route on map below) The Hotel or call for the Hotel Shuttle (+1 301-277-7777). If walking, be sure to walk through the tunnel to the neighborhood side of the tracks. From Ronald Reagan (DCA): Take the Metro YELLOW line from the airport to L'Enfant Plaza Metro Station. Then take the GREEN line to College Park Metro Station. From there, you can walk 0.8 mile along (see "A to B" walking route on map below) to The Hotel or call for the Hotel Shuttle (+1 301-277-7777). If walking, be sure to walk through the tunnel to the neighborhood side of the tracks. 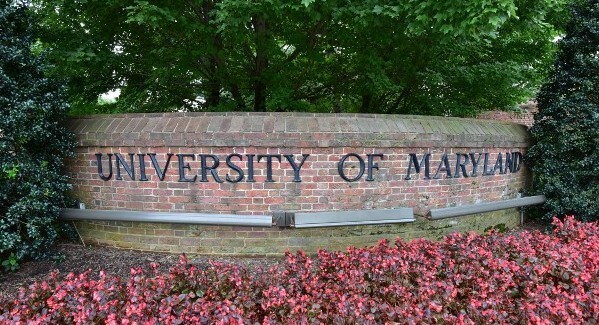 Registration and abstract submission are being handled by University of Maryland Conference and Visitor Services, using the third-party platform Certain. Early Registration Deadline is September 30. Standard Registration Deadline is November 4. Registration fees include breakfast, lunch, coffee all day, refreshment breaks, tutorial(s), and opening cocktail reception. To register, submit an abstract, or to update your existing registration/abstract, click the REGISTER button below.